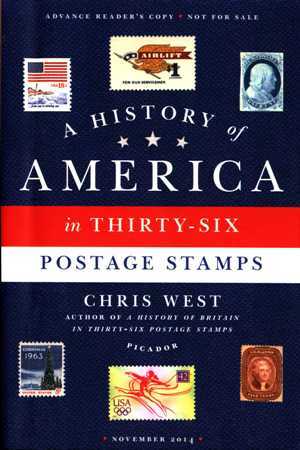 The Spellman Museum of Stamps & Postal History invites the public to hear author Chris West talk about his new book, A History of America in Thirty-Six Postage Stamps, on Tuesday, Nov. 4 at 7 p.m. The free talk is co-sponsored by the Waltham Stamp Club. Both A History of America in Thirty-Six Postage Stamps and West’s previous book, A History of Britain in Thirty-Six Stamps, are available for borrowing from the American Philatelic Research Library.